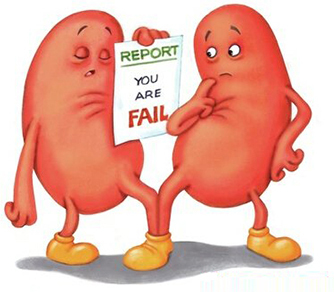 The kidney failure is the condition where the kidney fails to do the adequate filtration of the body waste. In such condition the functions of kidney are affected and after some it gets converted into chronic kidney disease or chronic renal disease. This time varies from a week to a year. There are no specific symptoms observed of this disease. The person can feel low appetite or unhealthy. The high risk of kidney failure is observed in high blood pressure or diabetic person. The kidney failure can be identified by checking the creatinine concentration in blood. If the creatinine concentration is high, the glomerular filtration will decrease resulting to the improper removal of waste from the body. But in the early stages of kidney failure, sometimes there is no changes in the creatinine concentration. If there is low protein and RBCs in the urine, can be a considered a start of renal failure. The diagnosis of renal failure can be done by different techniques like medical imaging, blood tests and renal biopsy. Diabetes is the big reason of kidney failure. Use of excessive medicines can also be a reason because it puts extra burden of purification on kidneys. High blood pressure can also damage kidney. Blood pressure will be increased due to the excess of fluids which results in the secretion of vasoactive hormone by kidney. In such condition the risk of hypertension urea accumulation increases. This is a possible reason of azotemia or uremia, in which extra pressure of fluids on kidney is observed. The deposition of sulfates, phosphates and uric acid can also cause renal failure. Some physical accidents, internal infection and kidney stones can results in kidney disease. Change in the in taste and metallic taste feel is observed. After the consumption of beans, oats, dairy products, meat, eggs etc. the indigestion is observed. Shivering and increased/ decreased in urination. Formation of bubbles or foam in urine due to high protein presence. Feeling of nausea or vomiting and loss of appetite. Breathing problem and itching in the body. Useful in curing renal infections. Enhances the immunity and provides support to the immune cells against antigens. The working of kidneys is streamlined by this herb, also due to the antimicrobial properties it is useful to fight against various infections of the body. It also maintains the level of blood sugar and controls diabetes. Possess the healing properties and prevents the excessive bleeding. It is known for its antimicrobial property which is useful in fighting various infections during kidney failure. It possess anti-inflammatory activity which helps the patient of kidney failure. It decrease the swelling of joints and prevents the accumulation of fluid in the body. It is helpful in improving appetite. It balances the fluid levels and results in good urine flow. Useful in healing all the problems of kidney. It increases the hemoglobin amount and also known as anti-inflammatory herb which removes the inflammation during kidney failure. Used in healing of kidney failure and helps in strengthening the urinary tract muscles. Also helps in reliving the kidney stones, intestinal bleeding, headache, migraine, renal calculi etc. The compound present in it named as lupeol which deactivates the glycolate oxidase, which prevents the kidney stones formation. The various formulations are present in the market, which are helping kidney failure patients to recover from their symptoms. 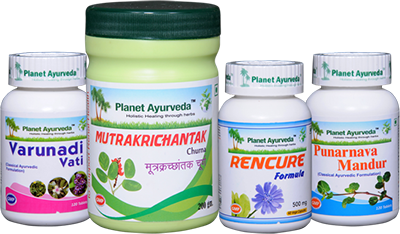 Some formulations are Mutrakrichantak churna, Rencure formula, Punarnava Mandur and Varunadi Vati present in the market, which are best formulation for kidney failure. The above mentioned herbs are used in the kidney failure and are the best recommended herbs for the prevention of the complications of renal failure. 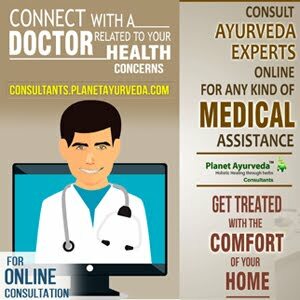 As the popularity of herbal medicines is increasing day by day, the people are getting aware and using this treatment frequently to get recovered. The reason popularity of these herbal remedies is no side-effects. The other reason is the herbal treatments provides relief to the patient kidney failure patient at that stage when the allopath recommend dialysis or surgery. The dialysis can be delayed by using these herbs by maintaining the electrolyte balance of the kidney, which results in the removal of toxins at higher rate from the body. Sometimes the complete kidney is healed by this treatment. There is not as such any interaction between the herbs of revive kidney formula, diabetes and high blood pressure medications. Different herbs have the different actions.